Posted May 5, 2017 by David Somerset & filed under Trivia. The return of the hit Ocean’s franchise is now only a year away! A spin-off from Steven Soderbergh’s trilogy of American comedy heist films – released in 2001, 2004 and 2007 – Ocean’s 8 is scheduled to arrive in cinemas on, rather appropriately, 8 June 2018. 2001’s Ocean’s Eleven was itself a remake of 1960’s Rat Pack movie of the same name, but the latest instalment has a twist, as it features an all-female cast line-up. Soderbergh’s three Ocean’s movies made a combined $1.1 billion worldwide, so you can tell why Hollywood wanted to make another one! The plot sees Debbie Ocean – the estranged sister of George Clooney’s character in the original trilogy, Danny Ocean – attempt to pull off the ultimate heist at New York City’s star-studded annual fashion fundraiser, the Met Gala. But first she must assemble the perfect crew: Lou, Rose, Daphne Kluger, Nine Ball, Tammy, Amita, and Constance. Sandra Bullock takes the role of Debbie Ocean, alongside Cate Blanchett as Lou, Helena Bonham Carter as Rose, Anne Hathaway as Daphne Kluger, singer Rihanna as Nine Ball, comedian Mindy Kaling as Amita, American Horror Story star Sarah Paulson as Tammy, and rapper Awkwafina as Constance. The movie’s main villain will be played by Homeland star Damian Lewis, who appears as Debbie’s ex-lover – and the target of the gang’s robbery. They’re joined by Spooks actor Richard Armitage as art curator Claude Becker and comedian James Corden as a suspicious insurance broker. Are any of the original cast in it? 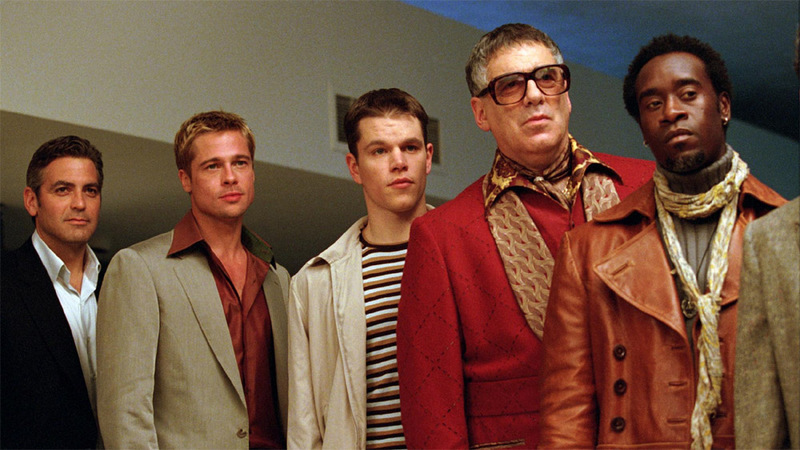 Only Matt Damon is confirmed, reprising his role as Linus Caldwell, but we’d be very surprised if several other familiar faces from Ocean’s Eleven didn’t also show up. Oh yes! Cameos announced so far include Anna Wintour, Alexander Wang, Kim Kardashian, Derek Blasberg, Lauren Santo Domingo, Zayn Malik, Kendall Jenner, Katie Holmes, Olivia Munn, Hailey Baldwin, Carl Reiner, Serena Williams and Zac Posen. They’re already finished! Directed by Gary Ross (The Hunger Games, Seabiscuit), the shoot started in New York City last October and was completed in March. So that’s everything we know so far about the movie. Now there’s just over (Ocean’s) 13 months to go and we can’t wait. In the meantime, check out Cherry-casino for all your casino action (although, sadly, no George Clooney or Sandra Bullock).